Today on Hackaday Dictionary, we’re going to talk about the two basic types of control systems: open-loop and closed-loop. We’ll describe the differences between them and explore the various advantages and disadvantages of each. And finally, we’ll talk about what happens when you try to draw a line between the two. Control systems are literally all around us. They’re illuminating our rooms, laundering our unmentionables, and conspiring to make us late for work. Most of us probably use or interact with at least five control systems before we’re even out the door in the morning. Odds are you’re using a control system to read this article. When we say ‘control system’, we’re speaking broadly. A control system is defined as any system that exhibits control over a function. It doesn’t matter how big or small the function is. A standard light switch is a simple type of control system. Flip it back and forth and the light is either on or off with no in between. Too bright? Too bad. There is no way to account for light intensity preference, use duration, energy output, or anything else. 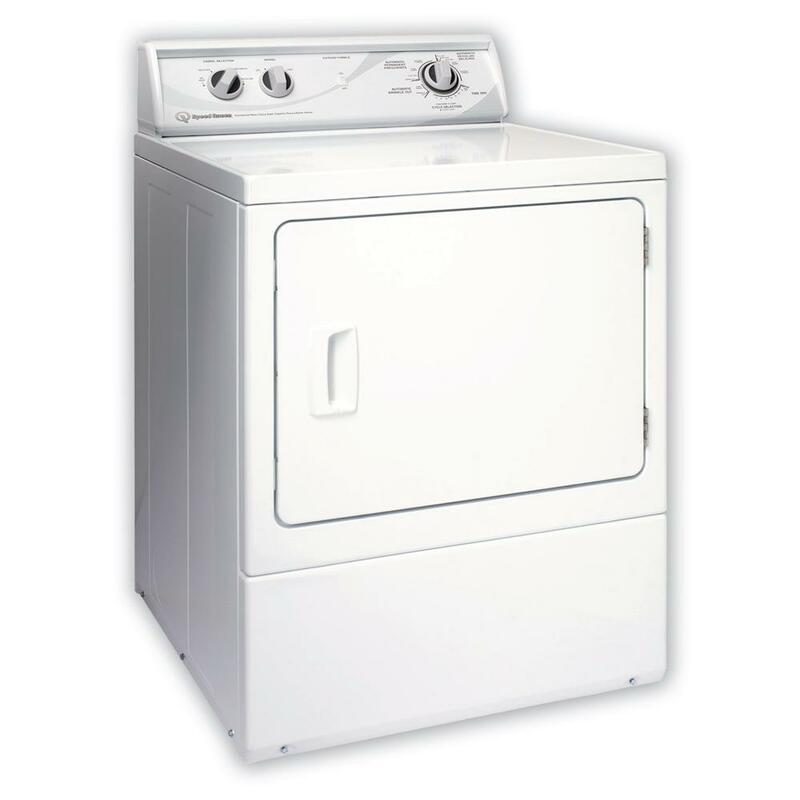 Another common example in discussing control system theory is the clothing dryer. Set the timer on the dryer and it will run until time expires. Will it run long enough to dry everything without shrinking anything? The only way to know is to open the door and check. Both the light switch and the clothes dryer are open-loop systems. The process is a straight line from start to finish, and they operate without concern for their output. 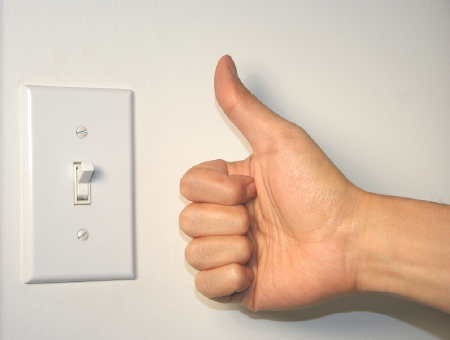 Once the light switch is flipped to the on position, current will flow until the switch is reversed. The switch doesn’t know if the bulb is burned out or even screwed into the socket to begin with. And the clothes dryer doesn’t care if your clothes are damp or dry or totally shrunken when time runs out. In a closed-loop system, the process begins the same way it does in an open-loop system. But a closed-loop system has one or more feedback loops in place that can adjust the process. Sometimes the feedback will simply cause the process to repeat until the desired result is achieved. Both of our open-loop control system examples above could easily be converted to closed-loop systems. A more advanced light switch might take input from a photo cell, or it could poll a motion detector and turn the lights off after a period of no detectable activity in the room. The clothes dryer could be improved with the addition of a moisture sensor. Since the humidity level in the dryer will change during the cycle, why not poll a DHT22 and re-run the process until a predetermined humidity level is reached? Then the dryer becomes a closed-loop system. No more reaching in and fondling the towels and shirt collars to make sure everything is dry. Well, at least in theory. Some control systems exist in both forms. Traffic lights are a good example of this phenomenon. Some lights are open-loop and simply run on a schedule. Many more of them are closed-loop and will cycle differently depending on traffic flow or information received from other traffic lights. The really smart ones have Emergency Vehicle Preemption (EVP) receivers. This is the system that allows fire trucks and some other emergency vehicles to change the lights in their favor. A device in the vehicle strobes a specific pattern at the receiver module on the light post, and the light changes as soon as possible. The main advantage of closed-loop systems is fairly obvious: using feedback means more and better control. But there are trade-offs. It’s almost impossible to deal with all the what-ifs in creating any system, and this generates unforeseen issues. They aren’t all bad, though. Maybe you’re sitting peacefully in the corner engrossed in a book, and the motion detector-driven lights shut off because you aren’t moving around enough. That isn’t ideal, but it’s easy enough to turn the lights back on and keep reading. The unforeseen issues can be so much worse than sudden darkness. Case in point: robotic vacuum cleaners. Here you have a complexly closed-loop system to take care of one of life’s drudgeries. Should be awesome, right? Yes, but because it is blind to everything but its pre-programmed boundaries, it doesn’t know not to spread messes around. A lot of closed-loop control systems look great on paper, but their imperfections become clear in execution. Take cruise control for example. Here is a system that’s better at its job than humans are. It will maintain the set speed until you hit the brakes or run out of gas. It will perform as intended whether there is a headwind or a tailwind or you’re towing a boat or transporting rowdy children. But cruise control isn’t aware of cliffs or guard rails or deer darting out in front of the car. 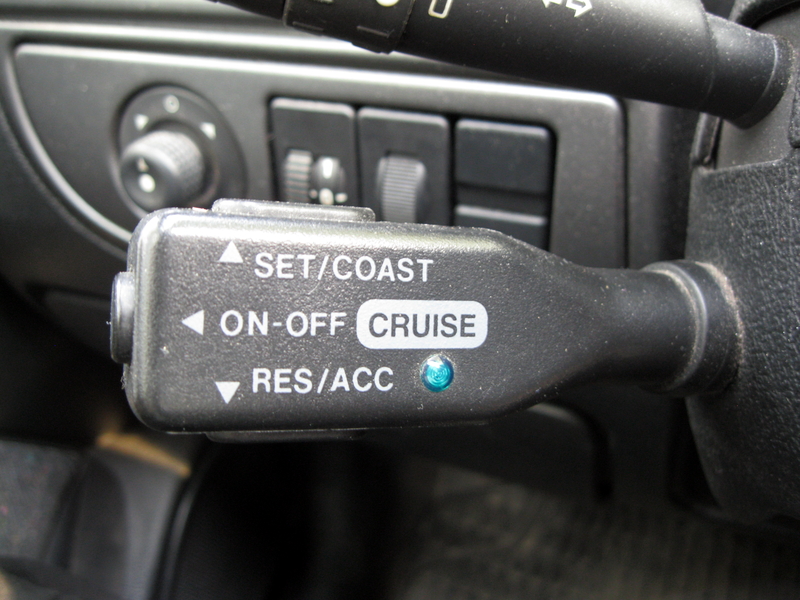 Cruise control keeps its head down and does its job until it can’t go on. Open-loop systems may not be as smart as closed-loop systems, but they often shine in their simplicity. For the most part, they do what you expect them to do. Light goes on, light goes off. And they are arguably more dependable since there are fewer things that can go wrong. Of course, a “simple” open-loop control system can mean a steeper learning curve. It’s not easy to learn to drive a manual transmission. But if you don’t know how to drive one, you’re missing out on some nice advantages, like the ability to push start the thing if you have to, and the option to downshift instead of pumping the brakes in icy conditions. So the question is this: is an open-loop system more valuable than a closed-loop system if it means having more control over the process? Does it depend entirely on the process in question? So where exactly does open-loop end and closed-loop begin? The line seems clear for some systems, but muddy for others. How much feedback is enough to qualify? Add just about anything to a light switch and it seems safe to say that you took it from open- to closed-loop. More often than not, the line between the two is blurry. Think of a motorized garage door. You push the button and the door either opens or closes. Push it again and the door moves in the opposite direction. 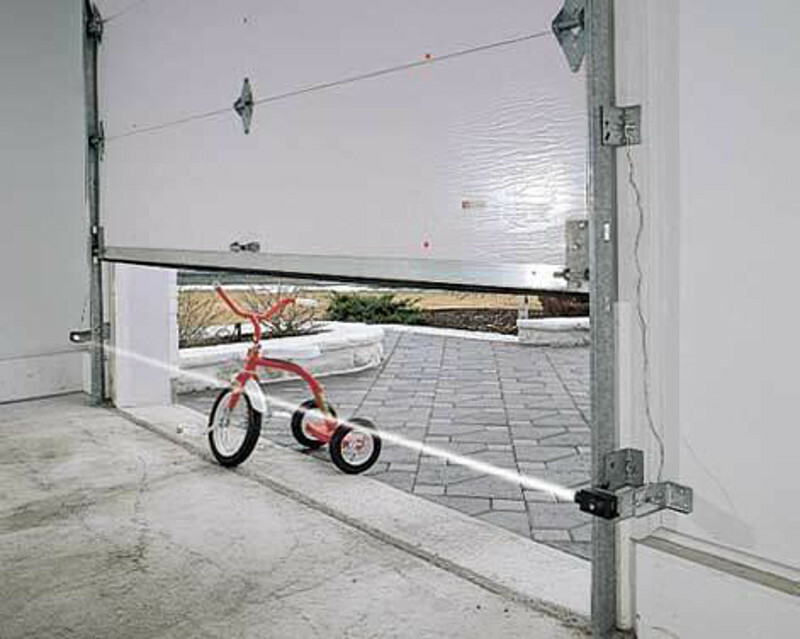 Most modern garage doors have a fail-safe in place to stop the garage door in the event of an emergency. If the door encounters any resistance, it will stop and reverse direction. The break beam detector is supposed to keep people and their tricycles from being crushed if they happen to be in the way while the door is closing. But it only works if the person or thing breaks the IR beam. There’s only one beam, and it sits about six inches off the floor. The motorized garage door system is actually quite limited because it has no positional awareness. It doesn’t know where it is on the track, it’s just going up and down blindly, waiting for input or resistance. Not all doors can be counted on to stop if they feel resistance—I tested mine and it kept on going. So if I don’t pull far enough into the garage and then put the door back down, it might hit the protruding rear end of my hatchback. It’s in the way of the door closing, but it sits way too high to break the beam. So is the garage door really, truly a closed-loop system?